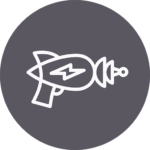 Our firearms represent a major investment in cash, time and commitment for most of us. It makes sense that we spend time training and practicing and becoming the best we can be with each of our chosen tools. It also makes sense that we invest properly in storing our guns and ammo so they will always be ready when needed and literally last our lifetime and those of the next generations. Corrosive Ammo + poor storage = bad! 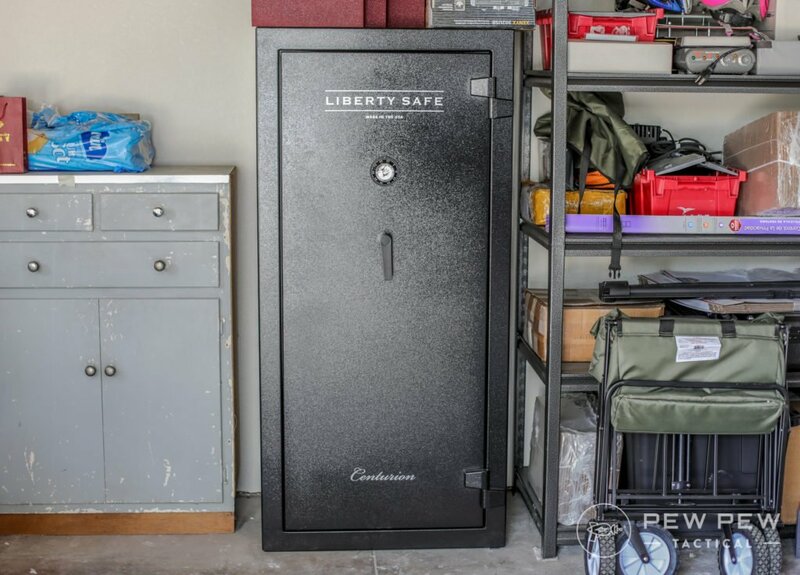 When we think about storing our guns in this day and age I will bet most think in terms of gun safes. Safes provide ample security and in some cases protection against fire. They also provide a method of storage that allows our guns to come out of storage the same way they went in…ready to go to work regardless of the job. Need a good safe at any budget…check out our Best Pistol & Rifle Safes article. How many of us have come back from a day at the range or from a hunting trip and after making sure our guns were unloaded and put them back in the safe, promising to clean them tomorrow or later? And then how many tomorrows pass before we actually get around to proper maintenance? The problem with later is that moisture and corrosion never take a day off. At the very least you should wipe down your guns with a quality firearm lubricant. For a lot of us, that means Hoppe’s No. 9 Gun Oil or Break Free CLP or Ballistol. A quick swab through the bore as well is important so you have at least a bit of lubricant coating the bore. Your sweaty, salty hands and fingerprints are an open invitation to rust, so at least take a minute to wipe down your guns. To be thorough, however, requires that we sit down at the bench and clean and lubricate our guns properly. That means cleaning the exterior with a quality cleaner and a lubricant. Then swabbing the bore and lubricating it properly. If you’re shooting a revolver be sure to clean the cylinder and crane. Don’t forget the magazines. Especially if you’ve been running drills and doing fast reloads and letting them drop to the ground. Get all the dirt and gunk out before you trust your life to those magazines in your carry gun. If you’ve been out on a wet day chasing whitetails through the snowy woods be sure you dry, clean and lubricate your rifle. At the end of the season, you need to remove the stock and clean and lubricate the bottom of the barrel and action. You’ll be amazed at how much rust you will find on the metal that is surrounded by a wood or composite stock. Even your stainless guns will rust quickly if not cared for properly. Be sure to torque the action screws according to the manufacturer’s recommendations and check your zero before you head out again next fall. If you have wood-stocked rifles or shotguns give the wood a rub down with Ballistol or a good gun stock wax. How you clean your guns is not important. Cleaning your guns is what is important. There are lots of great products on the market for cleaning and lubricating. Use what works for you. But use them. 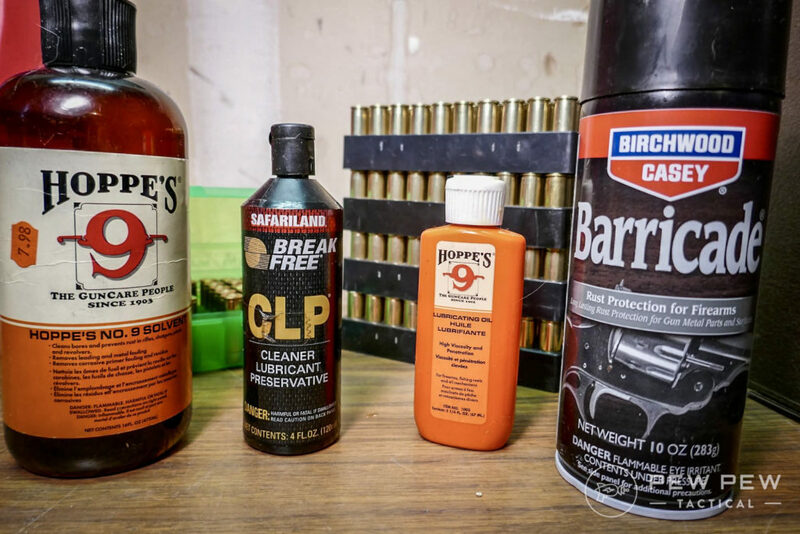 Here’s a great tutorial and test of various products by Brownells for protecting your fine firearms. Now that your guns are cleaned and lubed it’s time to store them until our next trip to the range or field. Do not store your guns in gun cases or pistol rugs. The linings are actually quite absorbent and will tend to pull moisture from the air into the material and literally surround your gun with moisture. Do not store your guns in the original cardboard or plastic box. Again, cardboard will absorb moisture as will gun boxes with soft or formed foam cut outs. Best to keep the box elsewhere for transport to the range or for use when selling your gun at a later date. Do not store your guns in holsters. Whether nylon or leather or kydex, it’s best to store your handguns in a rack in your safe. Again, we don’t want anyway for moisture to surround our guns. After the guns are clean use a rag or wear gloves to handle the gun when placing it in the safe. You don’t want oily, salty fingerprints on the gun or wood stock. 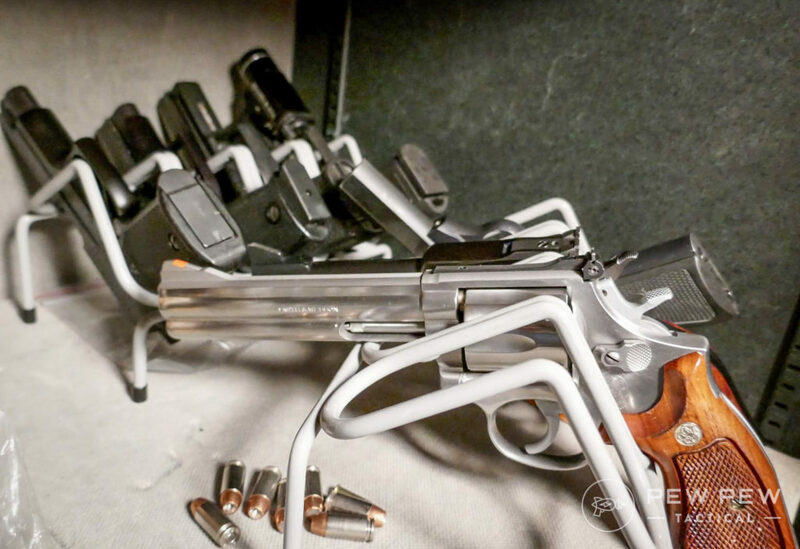 Place handguns in a rack so each gun has a place and they are not banging against each other. Long guns go in the safe so they are not touching or rubbing against each other. Some folks advocate storing long guns muzzles down to prevent any excess oils or lubricants from slowly seeping into the stocks or actions. For extremely long storage intervals this is probably a good idea. Just be sure your guns are very secure and will not fall over against other guns when stored this way. For those with over-crowded safes or fancy wood stocks, you may want to consider storing your guns in gun socks. I know we just said no material around the gun. But the silicone impregnated socks do not absorb moisture and will protect your guns from dings and bumps in the safe as well. Don’t forget to start getting in the habit of pulling your guns out every couple of months to check them and re-lubricate as necessary. Again, assuming most of us have a safe for storage, there are a few things you can do to upgrade your storage facility. To keep the interior of the safe dry a simple solution is to use silica gel beads to absorb moisture. Commercial packaging often includes a test strip that indicates when the beads have absorbed all the moisture they can hold. The beads can then be placed in the oven and dried or recharged in two to three hours. You can also find the beads in bulk at Amazon and place them in an empty quart paint can if you want a couple containers in your safe. To keep the safe a bit warmer and to aid in circulating the air in the safe the Golden Rod Dehumidifier is generally the gold (no pun intended) standard. Available in a variety of sizes these work very well, especially if your safe is in an unheated shop or garage. It’s important to check on your guns from time to time. Most shooters are constantly in their safe getting ready to go to the range, going hunting or tinkering at the workbench. 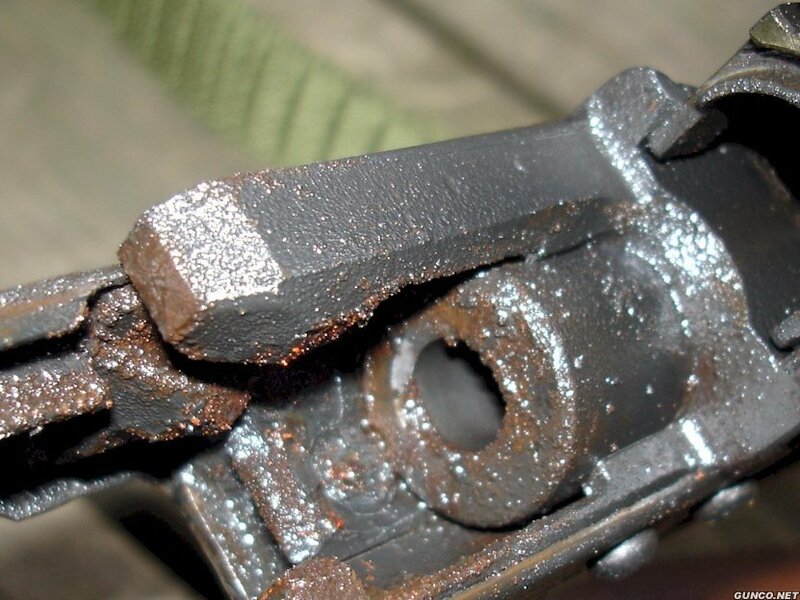 Make it a habit to pull out the guns you don’t use as much and inspect them for any rust or pitting. Take a look at the muzzle for any greenish-blue streaks in the barrel that indicate residual copper jacket material is corroding. If you see any color in the bore you need to do a more thorough job of bore cleaning and get all the copper out. Work the action a few times be sure everything is functioning. If you have used quality cleaners and lubricants you should not have anything sticking or hanging up. If you do, take the gun down again, clean it, dry it and lubricate it again. I’m willing to bet most of us have a fair amount of ammo stored at home for practice, competition, hunting and well, just because. Stored properly modern ammunition should last for decades. The biggest enemy of powder and primer compound is heat. So try to store your ammo at household temps or cooler and keep it out of the sun. It should go without saying that “keeping your powder dry” is also critical. A great resource to review with regards to storing ammo and reloading components is the SAMMI (Sporting Arms and Ammunition Manufacturers’ Institute) website. The rules covered here apply to both commercial and residential storage guidelines. Most reloading manuals will also have a section about safe storage practices. I personally like surplus 50 caliber ammo cans. Be sure the rubber seal is intact so the can is as watertight as possible. 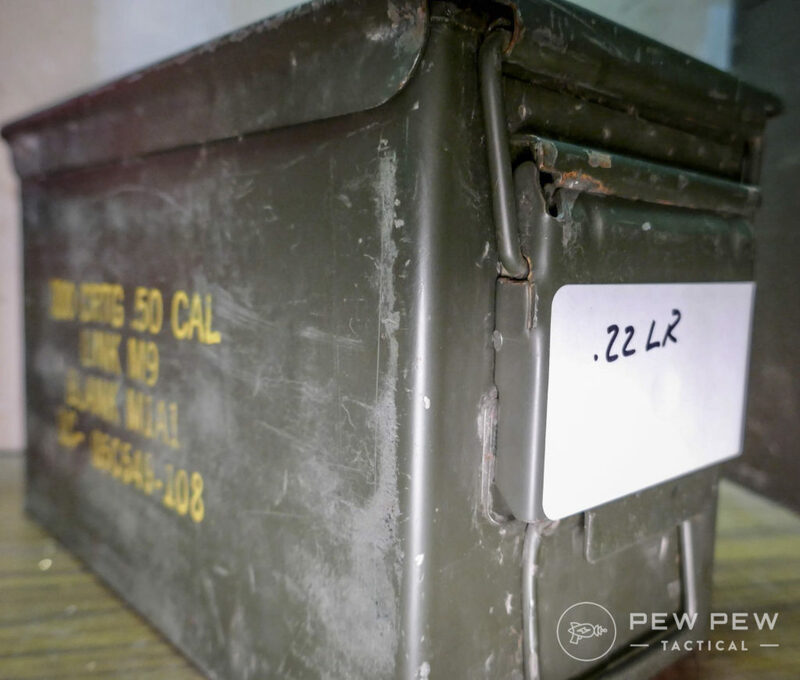 Because I reload, the majority of my loaded ammo is stored in 20 or 50-round MTM ammo boxes. I store my ammo in the cans by caliber. That way it is easy to keep organized and in boxes that are not so heavy no one can move them. There is some concern regarding fire and sealed containers. If a can full of ammo was exposed to fire and the ammo began to cook off, the sealed can could contain enough pressure from the expanding gasses to eventually explode and cause some serious damage. 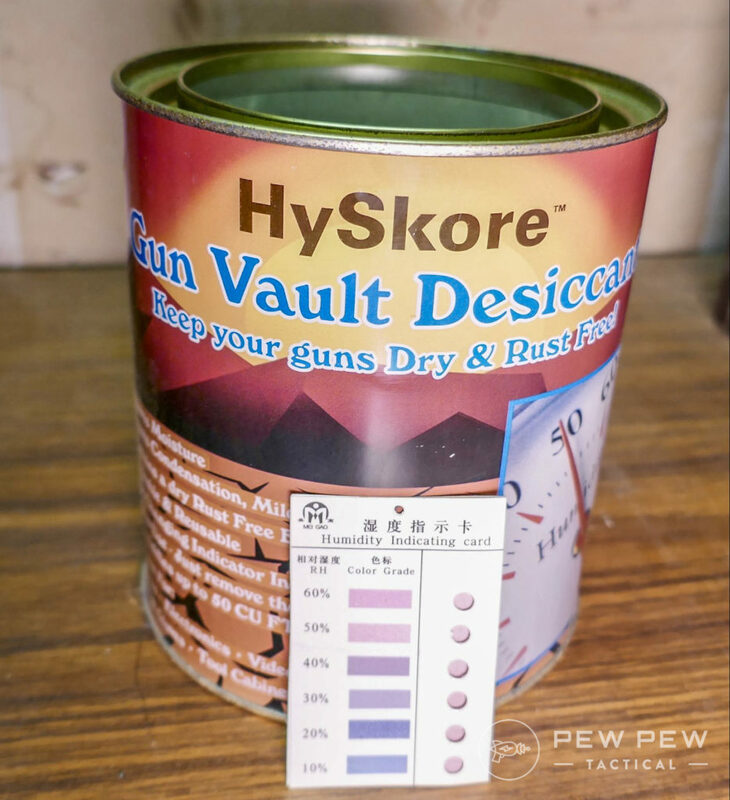 For long-term ammo storage, you can throw in a small desiccant pack to help control moisture. If you are a reloader and have powder and primers stored, the same thing holds true. Avoid heat and moisture. Powder should be stored in a container that will come apart if exposed to fire. SAMMI recommends a box made of one-inch thick wood with a loose lid to prevent any pressure building and possible explosion. The same holds true for primers. Again, a desiccant pack in powder and primer storage containers will help with moisture control. I am a huge proponent of safe and secure firearms storage. I believe one of the investments every gun owner should make is a quality safe that prevents or at least lessens the possibility of theft and keeps guns out of the hands of those who should not have them. Whether that safe is for your nightstand gun or for a collection of guns that continues to grow, make sure you secure your guns properly. 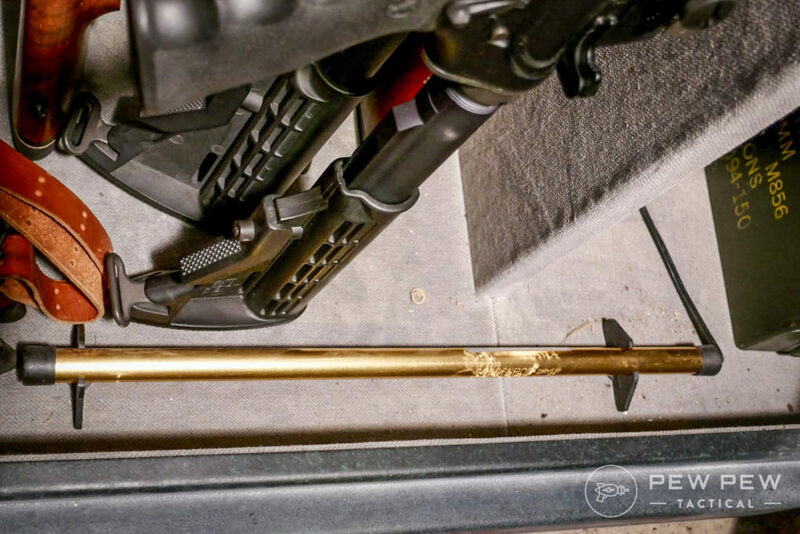 By taking care to keep your guns properly maintained during storage you ensure that those guns will function properly and will last for generations. Tell us your favorite methods for storing guns and what works the best for you. Looking to store other essentials in case of natural disasters? Check out our Guide to Storing Water for Emergencies. FP10 for melonite/parkerized finishes, barricade and/or ballistol on the rest. Double down with 2x the dessicant cans for you size safe, and toss a hygrometer in there as well. GTG, but monitor cans & safe based on your local weather/humidity. Alot of great information here in the article and the comments. Thanks everyone! I have stored a couple of thousand rounds of ammo by sealing 100 round packs in Foodsaver vacuum bags. I put the ammo in plastic ammo boxes, and put a small desicant pouch in each Foodsaver bag. Keep them inside the house for temperature control….should be good for a long time! How much desiccant per ammo can? Just one small package per can? That’s what I use, just one small packet.